If you’re the owner of a classic car, then we don’t even need to ask what condition your car is in, we know. The confidence in this answer rings even more truth when you’re the participant in a car show. Having a car that is being judged requires it to be in pristine condition, and when you’re transporting it to or from a show, it goes without saying that you want a vehicle transport company that you can trust. 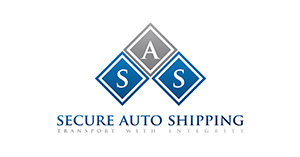 At Secure Auto Shipping, we offer a range of car shipping services that provide you with the highest quality of protection at a quick rate and most importantly, at an affordable price. Here are a few things that you might want to consider if you haven’t ever shipped your classic car before. This question takes a few things into consideration. Enclosed transportation usually costs more, but it also provides a much different type of protection. You could consider both viable options depending on the season as well. When it comes to shipping your car to a car show, we always suggest going with an enclosed form of transport. With this method we can guarantee that no dust, dirt or any other forms of mother nature build up on your car, making it easy for us to unload and drop off at the show in a great, ready to show, condition. Most trailers that haul more than one car aren’t usually equipped to haul cars that aren’t running. If you have a car that is in good condition and able to run, and are comfortable with shipping your car in an open trailer, than this option is a great one. Otherwise, enclosed shipping will still be your best bet for getting your car to the show. Secure Auto Shipping provides quick estimates for all vehicles that we ship. If you’re curious as to what our rates are, don’t hesitate to ask. We are the fastest, safest and most reliable shipping company in the nation. Contact us today and reserve your transport with us, today.